Brewton Plante, P.A. Represents NICA in Florida Supreme Court Re: 766.31(1)(b)1 | Brewton Plante, P.A. 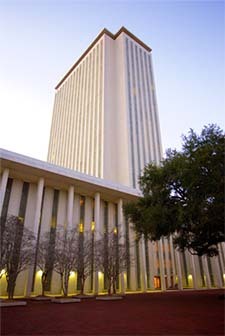 The Firm represented Florida Birth-Related Neurological Injury Compensation Association [NICA], in the Florida Supreme Court, where the Florida Supreme Court upheld the Fifth District Court of Appeals findings that the constitutionally of Section 766.31(1)(b)(1), Florida Statutes (2010), which provides for an award not exceeding $100,000 to the parents or legal guardians of an infant found to have sustained a birth-related neurological injury, does not violate equal protection, is not void for vagueness, and that the [NICA] Plan, as a whole, does not violate the parents’ right to access the courts. See 114 So.3d 912 (Fla. 2013 or read the Florida Supreme Court Opinion at http://www.floridasupremecourt.org/decisions/2013/sc10-1295.pdf. Firm’s attorneys: Wilbur E. Brewton, Kelly B. Plante.